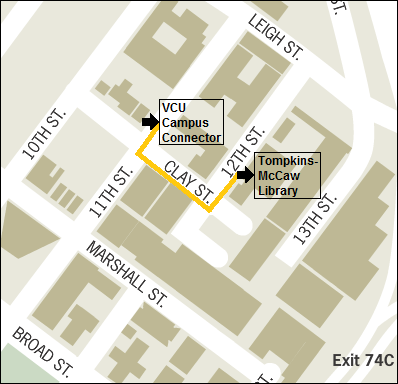 This guide is intended to provide resources helpful to VCU students, faculty, and staff using the Writing Center at Tompkins-McCaw Library for the Health Sciences. The Writing Center offers 30-minute sessions for walk-ins and undergraduate students, and 60-minute appointments with graduate students, faculty, and English Language Learners. Consultants are capable of helping with professional, academic, and even creative writing. If the resources you need are unavailable, try ordering them through VCU's InterLibrary Loan (ILL) system or through the Richmond Academic Library Consortium (RALC). VCU employees and students can use ILL to order books, articles, patents, and other items if they are unavailable at the library. This includes items that are checked out, on order, or not owned by VCU Libraries. VCU students and employees can borrow materials from other Richmond area libraries -- including some local academic libraries -- through the use of a RALC borrowing pass. See the website for more details. MCV's satellite Writing Center has consultants available for walk-in sessions on Sundays (10 a.m. - 4 p.m.) and Tuesdays (3 - 7 p.m.) from August 28, 2018 through December 9, 2018. Visit the Writing Center's website to schedule an online or face-to-face appointment. Easy-to-read guide on writing in APA style. ICMJE recommendations on how to conduct, report, edit, and publish articles in medical journals. Use this resource to search for a journal's instructions on publication. Published in the Health Services Research journal, this article provides tips on how to design compelling research posters for a professional audience.